The Moose Bag comes with a 2 Year Warranty. The Moose Bag has been designed for ultimate comfort whilst playing. The shape, positioning and design of all the components are a result of 2 years of extensive research to bring absolute satisfaction to every piper who plays one. 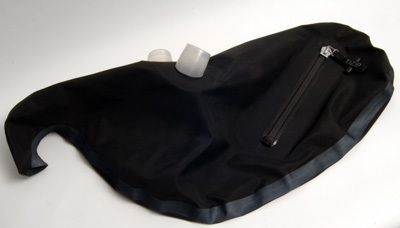 The Moose Bag is a synthetic pipe bag with an airtight zipper. It features rubber collars for the three drone stocks and blowpipe stock which are placed at the perfect angles. The collars require no clamping or taping which make the Moose Bag very easy to install. The airtight zip runs at an angle along the side to avoid contact with the arm whilst playing. The chanter stock can be fitted in 3 different ways depending on the preferred set up. Lay the Moose Bag flat on a work surface. Keep the Moose Bag away from any sharp objects that may damage or pierce the material. Identify the collars for the Bass Drone Stock, Tenor Drone Stocks and Blowpipe Stock. Once installed, the stocks are solidly in place and can be tested to ensure they are a tight fit. 2 x Pieces of Rubber Tubing. #Note:- Always keep these tools on a separate work area from the bag and be very careful when using them in the fitting process. To lubricate the collars use a very small amount of natural or water based lubricant such as vegetable oil or washing up liquid. #Note:- Never use an oil based or silicon based lubricant, such as the zip lubricant, to install the stocks into the collars. Lubricant will assist in the easy installation and correct positioning of the stocks into the collars. 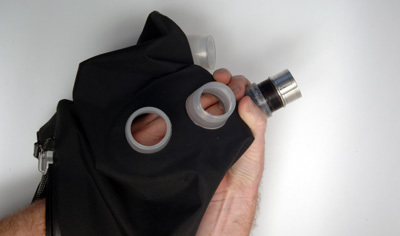 Dip one finger into the lubricant and run a small amount around the inside wall of each of the 4 collars. Once this is completed, wash hands and dry thoroughly to ensure maximum grip is attained when inserting the stocks. Open the Zip located on the side of the Moose Bag fully by gripping the zip-pull toggle firmly from left to right. Starting with the Bass Drone Stock, insert it through the zip opening ferrule end first. Identify the opening to the correct collar for the Bass Drone Stock to be fitted. Firmly push the stock, ferrule first, through the rubber collar as far as possible. 2. Warm with a hair dryer. 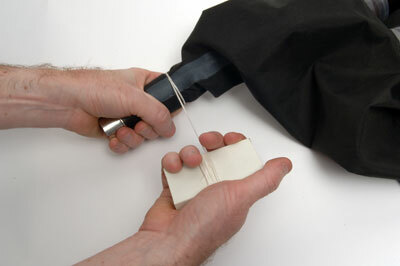 Using the piece of Rubber Sheet supplied, grip the stock firmly and work it into place. Don't be afraid to grip the bag material firmly and use the other collars and/or already installed stocks as leverage to get the stock in position. Each drone collar has one set of combing on the inside wall. Try to line this set of combing up with a set of combing on the stock itself. This will ensure an even tighter fit. It is not entirely necessary that the combing lines up as the collar will grip enough to be an airtight fit anyway. The tightness of the collars fit is a testament to how secure the stocks are fitted when installed and why no clamps or taping is required. #Note:- If unable to physically perform this process, assistance may be required from someone with a strong grip. When viewing from inside the bag this is approximately how far in the stock should be fitted. Observe that the bottom of the stock may not be level. This is due to the angle of the stock in the collars. #Note:- The depth may vary depending on types of moisture control systems or other accessories that may be fitted to or around the stock. Repeat the process to install the remaining two tenor drone stocks and the blowpipe stock. Due to the depth and angle of the blowpipe stock collar, the blowpipe stock will only come through as shown in this picture. This is not an issue as the bag cover will ensure this is unseen. Any of the stocks can be adjusted at any time to increase or reduce the angle or depth of a drone, the blowpipe or chanter. #Note:- Remember that a small angle adjustment of a stock will make a large adjustment of the angle of a drone. Insert the chanter stock through the zip opening and ferrule first down through the chanter stock opening. 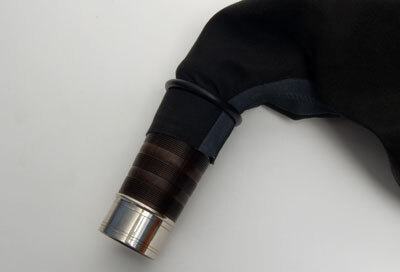 As there is no rubber collar for the chanter stock, it will easily slide into position. 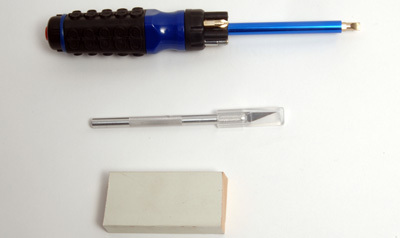 There are 3 Methods of fixing the chanter stock into position. All of these methods are very secure and dependant only on preference or bagpipe set up. Place one of the pieces of rubber tubing supplied over the bag. 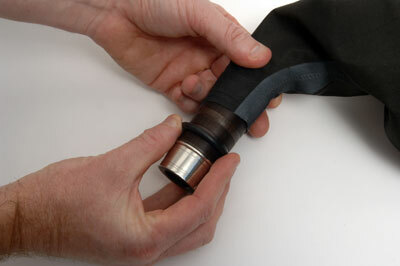 Make sure the rubber tube is over the flat surface area of the stock and not over the stock tying in groove. This will ensure that the hose clamp will fit and tighten perfectly in place. Place the hose clamp supplied over the piece of rubber tube and tighten. Ensure that that clamp remains straight whilst tightening and tighten firmly. 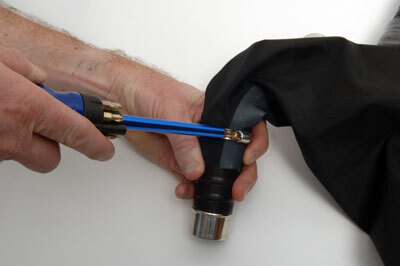 When the hose clamp is secured in place, the other piece of rubber tubing supplied may be placed over the hose clamp to protect the bag from any damage. Slide the 'O' Ring supplied on to the chanter stock. 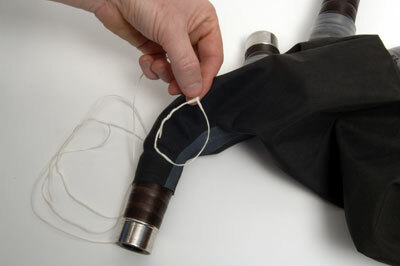 Roll the 'O' Ring up the chanter stock and over the bag until it finds and slips into the tying-in groove in the stock. Place the hose clamp supplied over the 'O' Ring and gradually tighten. Ensure that the hose clamp remains level as it squashes down the 'O' Ring to give a perfect seal. 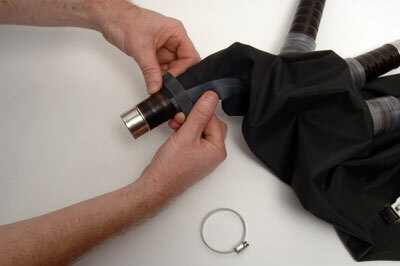 When the hose clamp is secured in place, a piece of the rubber tubing supplied may be placed over the hose clamp to protect the bag from any damage. This is the traditional tying-in process used for centuries to tie-in bagpipe bags and is still the preferred method of some pipers. Using a piece of tying-in cord, form a slip loop. Place the slip loop over the chanter stock and pull until it tightens and locates the tying-in groove on the chanter stock. Wrap the rest of the length of tying-in cord around a small block to give good leverage to tie the chanter stock in securely. Wrap the tying-in cord around the stock twice. 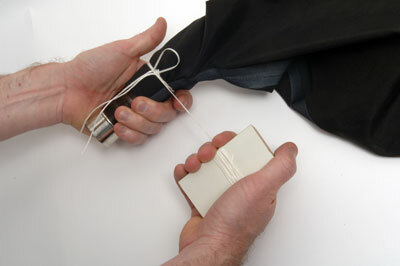 Using a small off-cut of tying-in cord, form a small 'U' Shape and insert under the tying-in cord. Go around the chanter stock firmly with the tying-in cord, using the block to keep the cord tight. 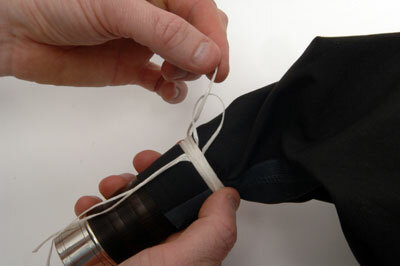 Finish the tying-in process by threading the end of the tying-in cord through the small 'U' shape. Then grip the two tail ends of the 'U' shape loop and pull firmly to remove. The 'U' shape loop will pull the end of the tying-in loop under the tie-in cord. Use a sharp knife to trim off the excess tying-in cord. When the chanter stock is secured in place, a piece of the rubber tubing supplied may be placed over the tying-in cord to protect it. The only further adjustment that may have to be made is the positioning of the chanter stock or the angle of the blowpipe stock or any drone stock to suit the players size, shape or height. Make small adjustments at a time to ensure that the Moose Bag fits the player perfectly to achieve the greatest comfort. Remember that a small angle adjustment of a stock will make a large adjustment of the angle of a drone. The Moose Bag is now installed. 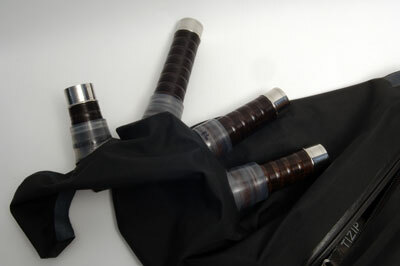 Place the bag cover over the Moose Bag, insert the drones, blowpipe and chanter and play. Always be very careful to NEVER place any unnecessary pressure on the Moose Bag when packing the bagpipes away or in general use. Exposed edges and components of moisture control systems can damage or pierce the material. 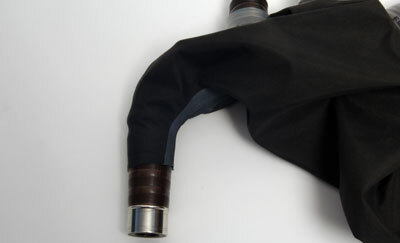 Ensure the main compartment of the pipe case is free from objects that may damage the Moose Bag. DO NOT use silicon or oil based lubricant to install the bagpipe stocks into the Moose Bag. Only use a very small amount of a natural or water based lubricant such as vegetable oil or washing up liquid. 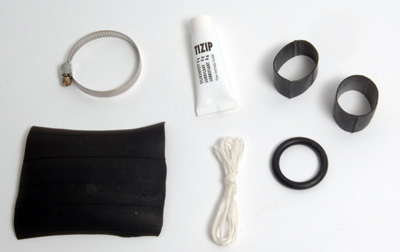 Lubricate the Ti-Zip on a regular basis to ensure easy operation. 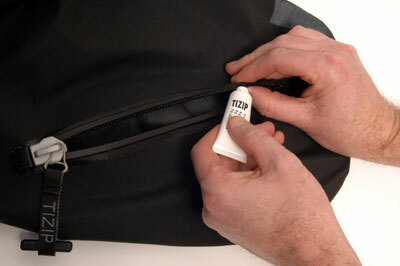 The zips used in the manufacture of the Moose Bag are airtight zips. 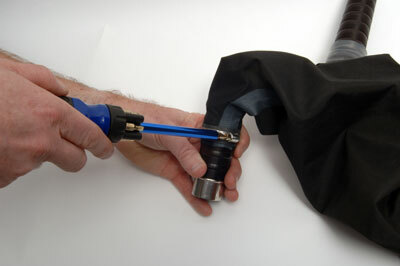 These zips require lubrication to ensure that they stay free and easy to open and close. 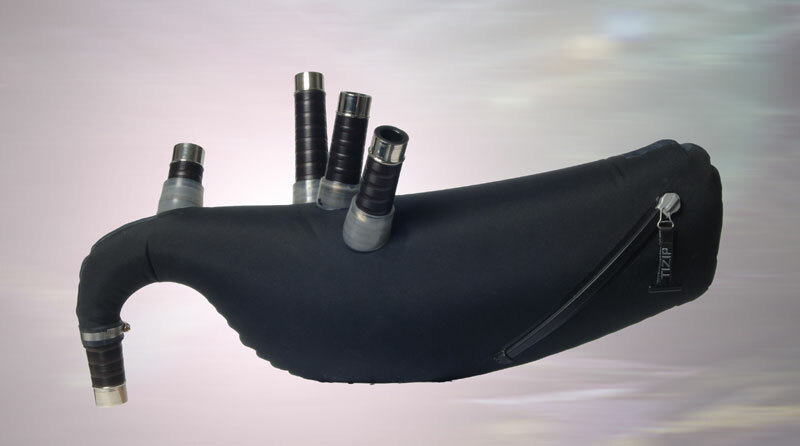 The lubricant also keeps the zip moist and flexible. The zip needs to be lubricated every few weeks depending on how dry it becomes. Using the small tube of lubricant supplied, squeeze a small amount along the length of the teeth of the zip on both sides. Make sure the lubricant is applied into the teeth of the zip to give smooth and effortless operation. At the closed end of the zip there is point where the zip-pull locks into place. There are six small circular indentations where lubricant can be applied. 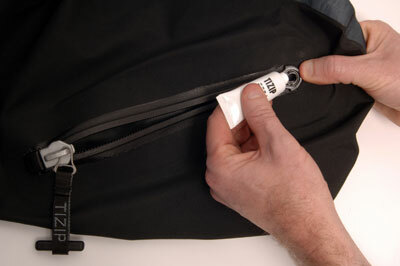 This excess lubricant will be carried back and forth along the zip by the zip-pull when the zip is being opened and closed. 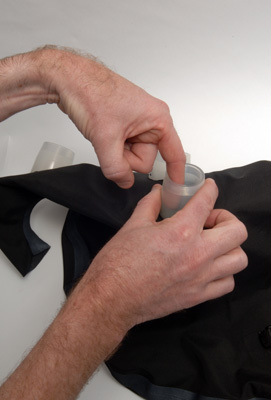 Ensure that there is always lubricant in this area to assist with and prolong the life of the zip. 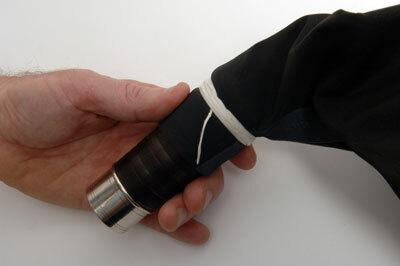 Finally, close the zip fully and wipe away any excess lubricant. #Note:- Never use the zip lubricant in the installation of the stocks into the Moose Bag. It is a silicon based lubricant. Miss-use of any nature will not be covered in the 2 year warranty given with the Moose Bag. The easiest way to remove the stocks is to push them back into the inside of the bag, then remove them through the zip opening. If the stocks do not release easily then place the stock upside down on a strong, solid flat surface, such as a table or work bench. 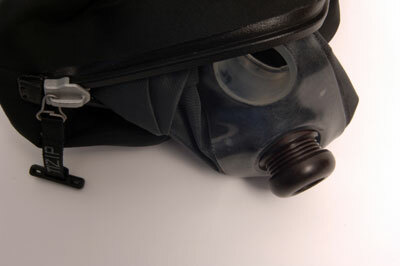 Grip the stock collar firmly with both hands and by leaning over the bag, exert pressure downwards. The stock collar will either push off or roll over when removing. If at any time, you have a question about the Moose Bag or need some technical support then please do not hesitate to email us and we will be happy to assist.